***Drivers lined up Tuesday morning for the annual group photo. Typically shot during the busy grid walk on Saturday, the photo shoot was done in a much more relaxed environment, prior to the driver’s briefing and the afternoon’s autograph session in pit lane. ***While the Nissan ZEOD RC takes the place of Garage 56 this year, no decision has been made on a potential entry for 2015, according to ACO Sporting Director Vincent Beaumesnil, who said they are talk to two to three contacts at the moment. “It’s not necessary that we have a Garage 56 every year. It depends on the quality of the project and many parameters,” he said. ***Details on the new-for-2015 LMP3 class will not be revealed until following the weekend. Beaumesnil confirmed they’ve had positive discussions and meetings with manufacturers over the last few weeks. It’s believed a decision has already been made for the category’s spec powerplant. ***This year’s race features a reduced American team presence, with only Corvette Racing (GTE-Pro) and Krohn Racing (GTE-Am) having made the trip over from the States. Dempsey Racing-Proton and 8Star Motorsports, both running under the U.S. banner, are operated by Proton Competition and AF Corse, respectively. Nonetheless, there are still 18 American drivers represented, but predominately in the GTE-Am class. ***Notable American absences include SRT Motorsports, which was forced to withdraw in March, Flying Lizard Motorsports (although select drivers/crew supporting JMW Ferrari), and Level 5 Motorsports, which had taken part in the last four events in LMP2. 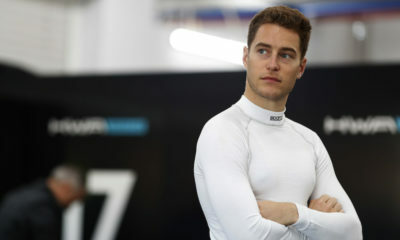 ***Despite not taking part in this year’s race as a driver due to SRT’s withdrawal, Dominik Farnbacher is at Le Mans, acting as team manager for the No. 70 Team Taisan Ferrari F458 Italia. Dom’s family run team, Farnbacher Racing, is helping run operations for the Japanese outfit and its 2012-spec Ferrari for drivers Shinji Nakano, Pierre Ehret and Martin Rich in GTE-Am. ***ORECA celebrates its 20th participation in Le Mans this year. The French squad, best known for its hat trick of GTS class victories with the factory Dodge Viper GTS-Rs, won the race outright with Mazda in 1991, is seeking an elusive first class win for its Oreca 03 LMP2 chassis. Six Oreca 03Rs have been entered for this year’s race. ***After more than a week of buildup and preparation, cars return to Circuit de la Sarthe tomorrow for practice and qualifying. Free Practice is scheduled from 4-8 p.m. local (10 a.m.-2 p.m. ET), with the first of three rounds of qualifying set from 10 p.m.-12 a.m. local (4-6 p.m. ET).